Fiebings Heel and Sole Dressing is a high gloss dressing for leather soles and heels. it is applied around the outside of the sole and the heel. The perfect finish to any shoe shine. It also works as a waterproofer around the soles so water doesn't seep into the leather where it has been trimmed around the edges. This product is water soluble and can be shipped to CA or to APO addresses via the US post office and there is a applicator dauber attached to the cover. You have a choice of Black or Brown. 4 FL. OZ. 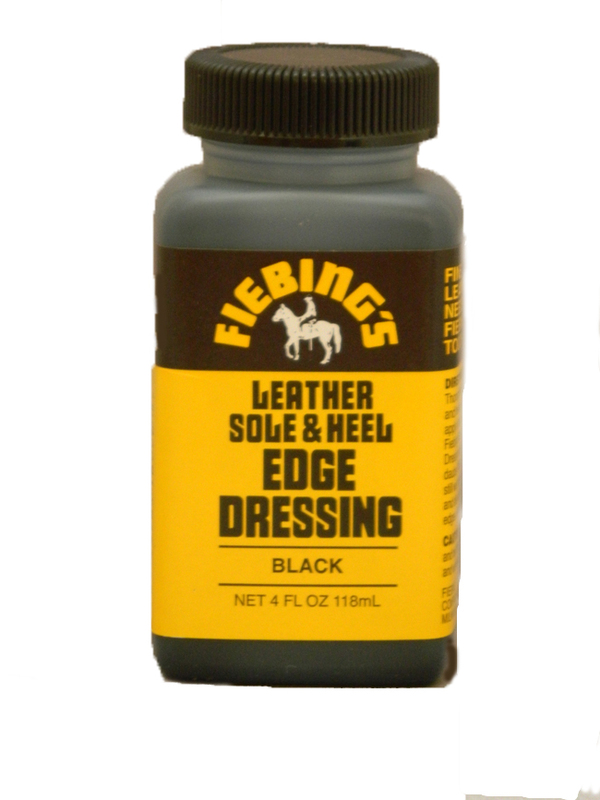 This link "Step 5 of our "How to Shine Shoes" page shows how it is easily applied with the attached dauber.